Then eventually it stopped. It was summer. I was still pushing the stroller, but sometimes she didn’t wake up when the swinging was interrupted. 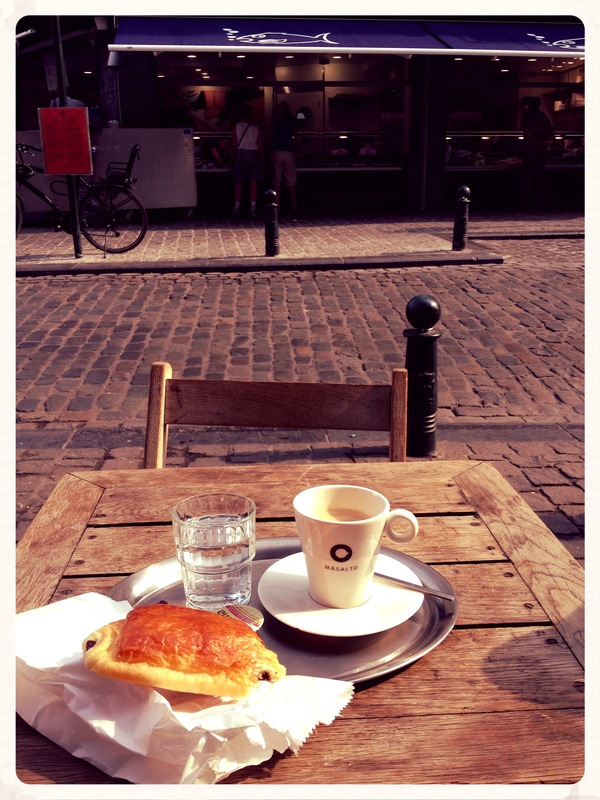 I remember my first cup of coffee on the terrace of the Monk, with one of Charli’s pain au chocolat, quietly watching the ‘Oostendenaren’ from ‘Mer du Nord’ preparing their fish stalls for the 10 o’clock apero. I was happy, chilled and happy. ‘Cos that’s what I used to do, you know? Congratulations and thank you Andreea! Hope you will share your experiences as a new mum in Brussels! Thanks for all the tips! Very helpfull! I will do my best to answer in the coming days! Hi! I have two little ones and will be an expat in Brussels very soon. I am so glad I found your blog. It’s refreshing, funny, and helpful. Thanks so much! Oh thank you so much! And welcome to Brussels, I hope you’ll love it and don’t hesitate to let me know if you need any tips! I have just arrived in Brussels with my three years old baby girl, Giulia. Your blog is really useful and gives me lots of good tips!